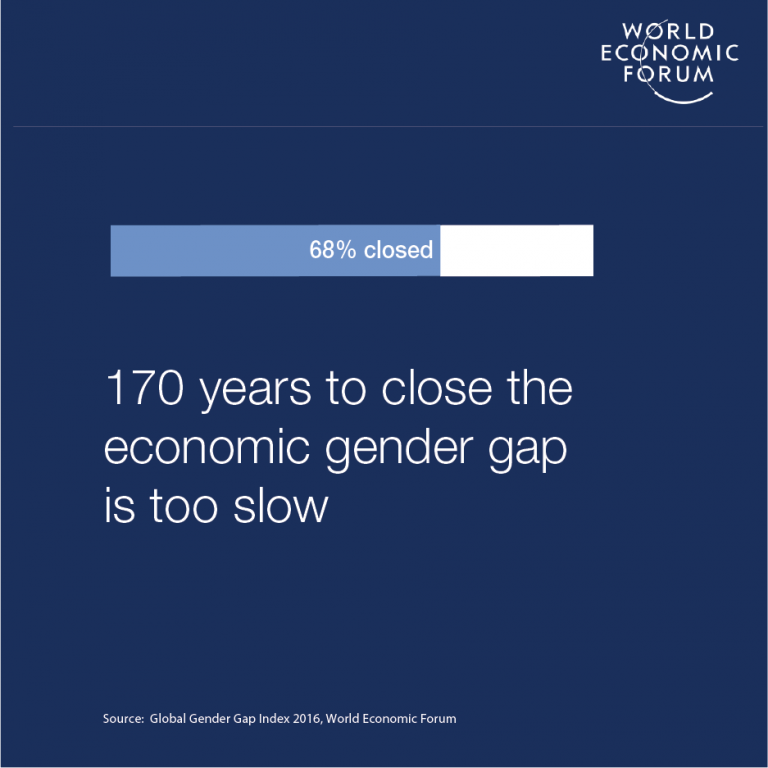 It is no secret that women have unequal access to economic opportunities, but here’s what’s new: as digital technologies dramatically reshape our economies, they can either make the problem worse or help fix it. The sexist culture of Silicon Valley and its stream of apologies, scandals and step downs highlights the scale of the challenge. Think about it: most job growth will continue to come from STEM fields, yet only 12% of engineering students are women. Much of our day-to-day is dictated by digital gadgets, yet few women are involved in developing them. Those who are involved don’t have it easy on a day-to-day basis, as the latest stories of systematic harassment make clear. In less developed countries, fewer women than men own mobile phones or have basic internet access. Forty-two percent of women and girls worldwide — 1.1 billion in total — are unbanked. Women are more likely than men to lack credit history and the mobility to go to the bank. That is why financial technology (or fintech) can play a large equalizing role, not only in terms of access but also in terms of how financial products and services are designed. For example, fintech products that are more adapted to women's risk preferences can help close the wealth and investment gap between genders. In contexts where women's movements are severely limited because of cultural or security concerns, tech can play a role in either facilitating or directly providing income-generating opportunities. For example, where harassment remains one of the main deterrents for engaging in the workforce, location-reporting tools can give women more confidence to go to work. Working remotely thanks to online micro-jobs platforms can provide a whole new set of opportunities, but tech companies need to put in the extra effort so that the gig economy provides dignified standards of living that are equally attractive to men and women. Digital and STEM skills are the hottest in town, and job openings in computer, technology and engineering-related fields will continue to grow. Encouraging girls’ STEM (or STEAMD - Science, Technology, Engineering, Arts and Math development) education from an early age and teaching digital literacy to women and girls are the first steps toward closing future gaps. Creating the systems and cultures that help women and girls remain and thrive in those fields are also necessary. Algorithms that feed on available data perpetuate gender stereotypes and biases. Engineers have taken notice and some are working on weeding out prejudice from artificial intelligence. AI is also being used to surface bias in hiring and promoting. Just one example is automated screeners highlighting "male" adjectives in job descriptions that discourage women from applying for leadership positions. As people are pushed out of industries by automation, they will seek alternative forms of employment. Original artistic creation, hand-craftsmanship, innovative design and other types of creative work will be vital to sustaining economies. Technology can serve as an enabler of these opportunities by offering access to markets, lowering the costs of launching new ventures and allowing flexibility of working hours. All these factors make the creative field an attractive one for women. The gender gap is closely linked to the digital divide. If we double the pace at which women become frequent users of digital technologies, the workplace could reach gender equality by 2040 in developed nations and 2060 in developing nations — much earlier than current projections. Are you working on any of the above? Apply to MIT Solve’s Women and Technology Challenge by August 1.